Matching up with the ever increasing requirements of the customers, our company is engaged in providing Clamping Fixture. To meet the growing demands of the market, we are offering a large array of Hydraulic Clamping Fixtures. Our Hydraulic Clamping Fixtures are highly acclaimed amongst the customers for their effectiveness and used in highly pressure applications. Besides these, the products offered by us are known for their best quality. To supply the ever rising needs of our customers, we are occupied in offering a wide range of Pneumatic Hydraulic Clamping Welding Fixtures. CNC- INDIA started the fixturing division in the year 1998 after proving our expertise in machine building and tooling. We started the fixturing division with the moto QUALITY FIRST AND CUSTOMER DELIGHT. We are engaged in offering a quality approved range of vmc Hydraulic Clamping fixture importing and exporting of Automotive Components and many more. These products are offered by us at competitive prices. We are engaged in offering a quality approved range of Hydraulic Clamping Fixtures. We are successfully meeting the varied requirements of our clients by providing the best quality range of VMC Hydraulic Clamping Fixture. We are indulged in offering the finest quality VMC Hydraulic Clamping Fixture. 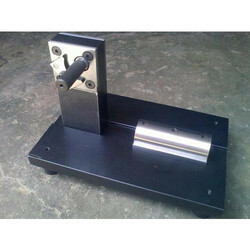 Customers can avail from us a premium range of Hydraulic Clamping Fixture, so we are offering this product in bulk. 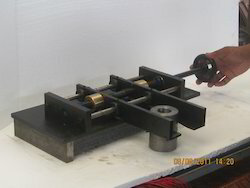 Banking on the skills of our qualified team of professionals, we are instrumental in offering supreme quality range of Hydraulic Clamping Fixture. Clients can avail Hydraulic Clamping Fixture from us which is engineered using finest quality components and following international industrial standard.